The Apollo app allows users to link with one another, facilitating a synchronized listening experience through Spotify. The goal is to promote connectivity amongst friends and music enthusiasts in order to foster stronger social connections. 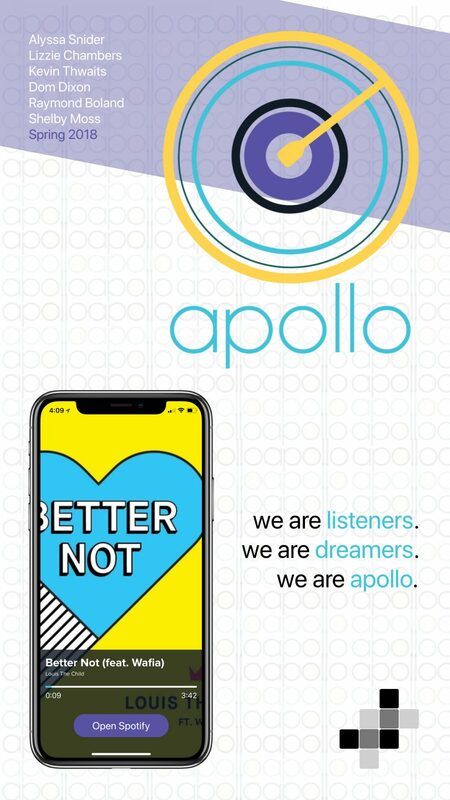 Apollo is a music app that allows users to sync devices and connect with their friends to create a simultaneous listening experience. By linking to users’ Spotify accounts, one can choose to be the DJ, controlling song selection for a group, or to join an already existing party. The user has the option to be the DJ or join the party. There is only one DJ per party. This user has control over what songs play on his or her friends’ phones. The other members of the party do not have control over what song is played. They are asked to enter a unique six-digit numeric code which will sync them up with the DJ’s song choice. There is no limit on how many people can join. Party on!